This richly illustrated volume offers a comprehensive insight into this metropolis' boundless diversity. In sensitively written texts the author presents a journey through the most significant stages of Berlin's artistic and architectural history, from its beginning to the present day. More than 600 splendid photographs document the eventful artistic and cultural development of this extraordinary city, which to this day is famous for its pulsating life. The Reichstag building, the Brandenburg Gate, the Palace of Charlottenburg, and Potsdamer Platz are only a few of the many stops the viewer can explore in detail. 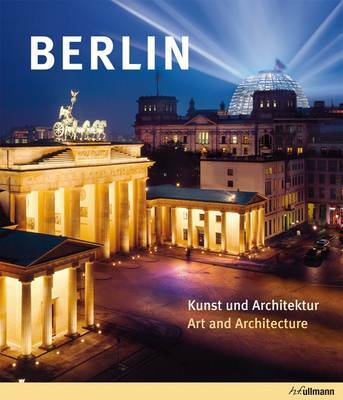 The book is cleverly divided into different aspects of Berlin's art and architecture such as Palaces and Gardens, Buildings and Complexes of Power and the Crown Jewels of the City, ensuring that the book is easy to use. The unique history of this city, and its influence on art and architecture, is well documented within this beautifully presented book.